Funded entirely by local nonprofits and businesses, Evesham clearly embodies the “love thy neighbor” ideal, and so far, things are looking up. Short term, average DUIs were down from 25 to 8 in September. I’ll keep watching this one. It will be interesting to see if it’s sustainable and what kind of impact it has long term. Love to see local people getting creative with solutions. Recently I discovered the EconTalk podcast series, run by Russell Roberts of the Hoover Institution at Stanford University. Was delighted to see an hour long interview with James Tooley, author of A Beautiful Tree, A Personal Journey into how the World’s Poorest People are Educating Themselves, which I’ve been reading. Great stuff here – most of us in the United States and Europe know private schools as almost exclusively for the wealthy. His research provides ample evidence that this is not always true AT ALL. I was in Hyderabad in South Central India. I was there doing consultancy work for the International Finance Corporation, the private arm of the World Bank. I was looking at elite private education, private education for the middle classes and the rich, because I’d become an expert in private education–that was my area of research. I was dissatisfied with this because for whatever reason, I was drawn to serving the poor. That’s what I felt my life should be about. And here I was looking at private education for the rich. So, on a day off from my consultancy, I wandered down into the slums of the Old City; and sure enough–I had a hunch about what I might find, and I found a private school. A school, charging in those days what would be the equivalent of $1 U.S. dollar per month, serving a hundred children. I met these people; and then I wandered down another alleyway and found another school. And soon I was in contact with a federation of 500 of these low-cost private schools in these poor, largely Muslim areas of the old city of Hyderabad. It was an amazing finding for me, because suddenly the two parts of my life came together. I could work concerning the poor, low income families and I could be exploring private education, too. But more than that, this seemed very exciting. Poor people were using private schools. Why? Why has no one told me about this? What’s going on here. And so I began a really exciting time in my life. In fact, big banks approved less than a fifth of all requests for small-business loans they received in January. Small banks approved about half of applicants, according to a survey by Biz2Credit, an online platform that matches businesses and lenders. Another reason to prefer voluntary solutions to social problems. Why not solve social problems with for profit businesses? Better than government options – private organizations can adapt, change and improve much more easily. If your organization messes up or is wasteful, someone else can compete with you and do it better. for government organizations – if you are wasteful or mess up, odds are there will be an investigation and then you’ll get MORE money and influence (think FEMA, think HHS, think Education, list goes on and on). Better than non profits, perhaps? A for profit model gives you a sustainable income stream (often better than doing grant proposals, competing for donors in tough times). The modern publicly listed company is an artificial construct and most folks have forgotten the free market is capable of infinite other models. The social enterprise movement is a fantastic new approach. The idea that ‘for profit’ companies means your somehow compromised and unable to change the world is antiquated and false. And the idea that maximizing shareholder value = money, well, why? Social Enterprises are voluntary associations – no one’s forcing people to buy shares, the profit goals are written into bylaws… More power to them. Bye Mom, off to school! Here’s one I like: Kunskapsskolan – a private school “social” enterprise – aim for 10% profit each year, give 90% of revenues to school principals to manage. They have only gone into blue collar areas because, as the CEO says, they’re not catering to the rich. 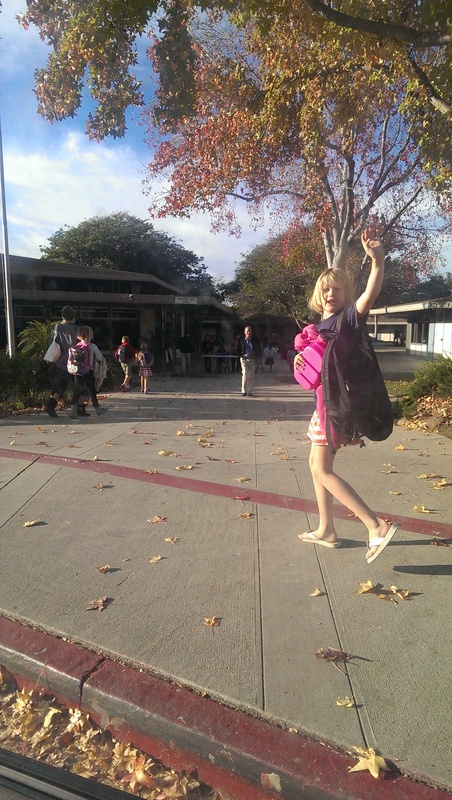 They want to improve school for the average child since public schooling is failing. Sweden overall isn’t a perfect model for education, but this social enterprise looks very promising. 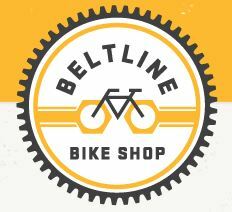 The link above will take you to a story about the Beltline Bike Shop in Atlanta, GA, a non-profit where kids can go to fix up bikes and earn their way to a new bike. A kid hears about the shop. He comes to the shop because he’s been told he can learn how to fix bikes. As he learns how to fix bikes he also learns how to work hard along side other people while earning a bike of his own. Through the shop, he realizes that hard work pays off. This leads to him seeing opportunities in his neighborhood where he is able to leverage his skills to earn money. As his skills grow, he gains confidence and improves his ability to shape his future. Compassion and Minimum Wage – a silver lining? I ran across this column by Thomas Sowell today – pointing out that it isn’t true compassion to raise the minimum wage. Those who are lucky enough to keep their jobs will get paid more yes, but jobs will disappear overall. There will be a reduction in jobs available, increased unemployment as marginally valuable jobs are cut. It will put people out of work, and we should care about these people, too. (A business owner, whether he runs a restaurant, a non-profit, a laundromat, an accountant’s office, a corporation has to respond if costs change. Increasing the hourly wage = increase in expenses. People responsible for their organization have to either bring in more money to keep the same people employed, but that’s not always possible. They’ll need to find a way to get expenses below income so they don’t go out of business. We know that many will cut out jobs to make up for the higher costs.) The biggest groups affected are of course the poorest and the youngest. New kind of role model: Nick D’Aloisio built an app when he was 15 and sold his startup to Yahoo at 17. I’m hoping that the lack of jobs and employment for our youth has a silver lining and will cause more folks to take charge of their own economic lives, and create new opportunities. The Myth of Liberal Compassion (David Limbaugh) – sort of gets to the point | Compassion and the Free Market on Where are the truly compassionate solutions for helping others. The Beacon – Independent Institute Well supported articles here on economics, foreign policy, civil rights, education, healthcare, etc.